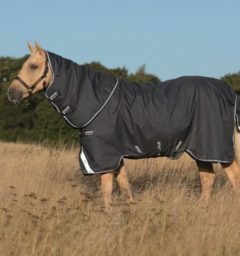 Designed with unique barrier technology, vari-layer technology, anti-static and anti-bacterial polyester lining this blanket is designed to last for many seasons. 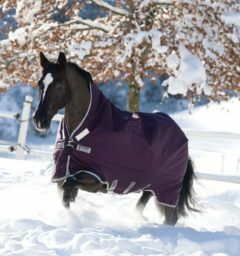 This original blanket comes in medium weight and is compatible with the Horseware liner system to offer full weight versatility. 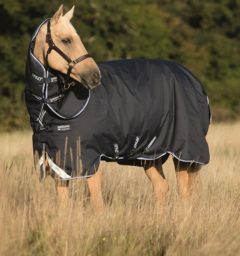 Rhino Original with Vari-Layer comes with anti-static, vari-layer technology, anti-bacterial polyester lining. Classic original cut with double front closures. Leg arches, reflective strips, hood and liner loops, cross surcingles and shine enhancing polyester lining. 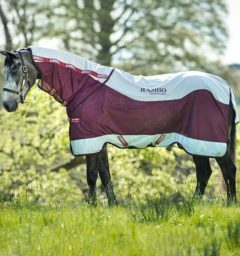 Our new Rhino Original with Vari-Layer also comes with our guarantee that your rug will remain waterproof and breathable for a minimum of 3 years. 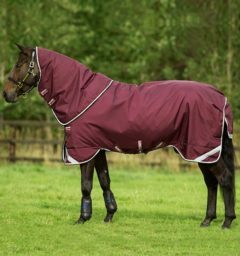 () Customer Review(s) on "Rhino® Original Turnout with Vari-Layer (250g Medium)"
Vari-layer® is the layering of thermobonded fibrefill to gain maximum heat retention without the heaviness of a standard fill. Thermobonded fibrefill used in this system retains its loft over time even through washing which in turn helps your rug maintain optimal heat retention. 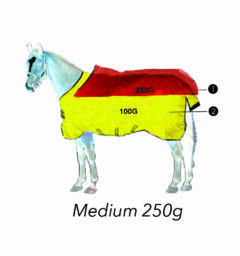 For the owner it means less physical weight to lift onto your horses back and also means your horse is carrying less weight. 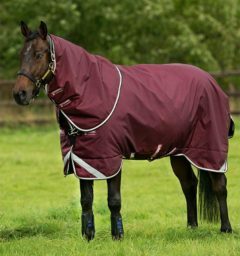 For horses that struggle with holding condition or older horses this can be an invaluable tool to aid in keeping them warm and cosy even on the coldest of nights. 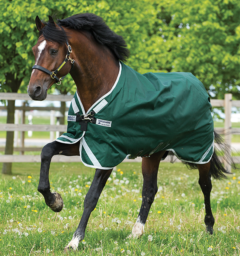 By layering the fibre on the sides, the rug can sit closer on the horses body, trapping the warm air and allowing greater belly coverage underneath. 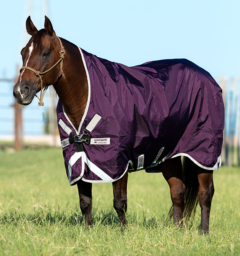 Our super breathable Aquatrans® technology used in our turnouts ensures that any moisture is released to the outer, keeping the horse comfortable. Our Rambo® turnouts come with a 3 year waterproof guarantee! The inner Hydrophillic layer is water loving and draws sweat away from the body. The outer Hydrophobic layer is water hating and drives this water vapour through the fabric and away from the outer of the turnout. Therefore it repels the entry of any water through it coming from the outer. 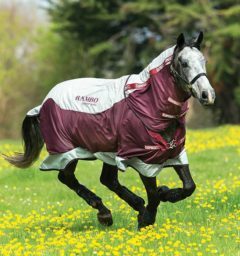 This waterproof technology is one of the best on the market and ensures your horse stays dry and comfortable when wearing Rambo® or Rhino® turnouts. 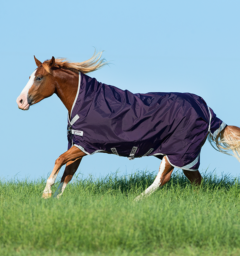 VARI-LAYER® TECHNOLOGY – Retains more heat with less weight, superior comfort for your horse. 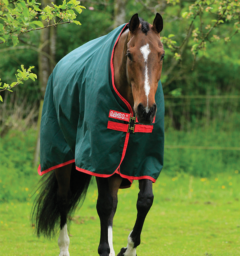 BREATHABLE – Allows moisture to escape keeping your horse dry and comfortable. Breathable to 3000mm for all turnouts. 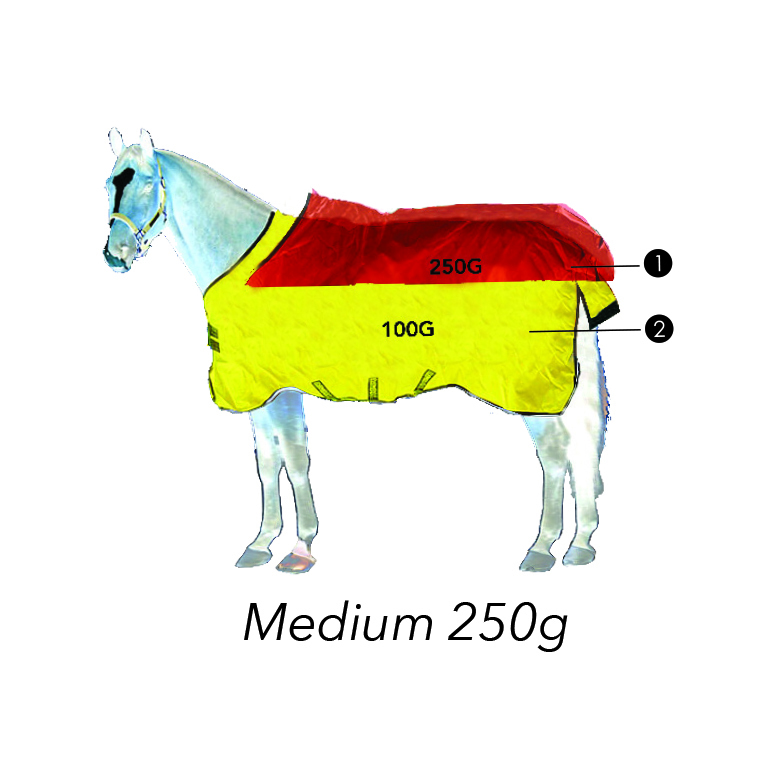 V-FRONT CLOSURE – Eliminates pressure on the shoulder allowing for more comfort while grazing. 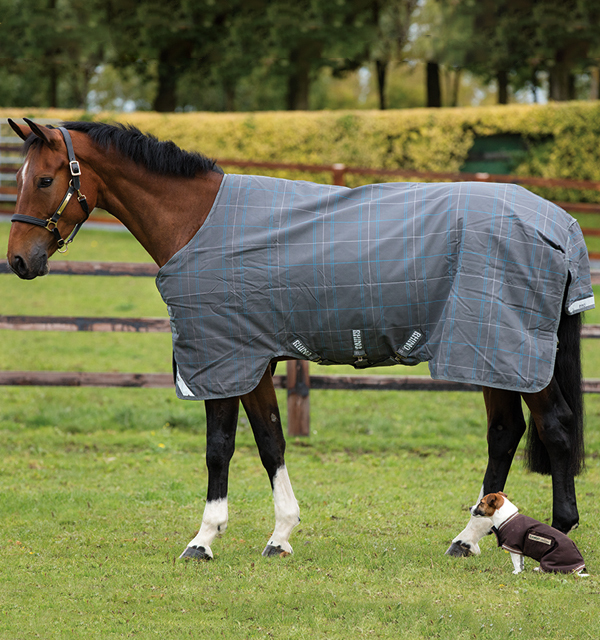 SECURE SURCINGLES – Gives rugs a secure fit around the belly area. 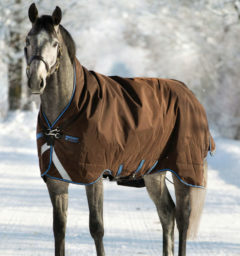 The Horseware unique Safety Clip System breaks in the event of an emergency.